A ballroom dance class solely for those in wheelchairs is held once a month at the Fred Astaire Studio in Michigan. 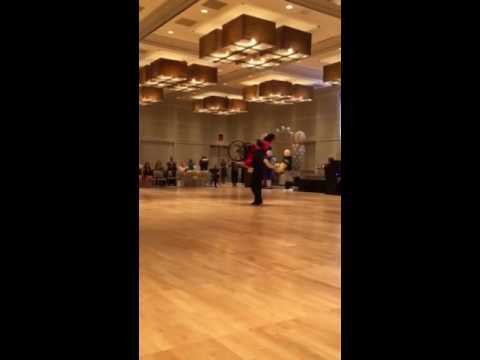 Recently, professional ballroom dance instructors from across the country taught the basics of the dancing styles, wheelchair techniques and judging criteria. Janice Pegg, a participant diagnosed with multiple sclerosis in her 30s, said the class has helped move her out of her comfort zone. Our Paralympic Team Does It Again! Our Paralympic team wins silver! Teaching Student with Rare Disorder How To Dance For Prom! On the first Saturday of every month, couples gather on the dance floor at Fred Astaire Dance Studio to learn the fundamentals of the waltz, fox trot, and other ballroom moves. But this isn’t just another class at the Bloomfield Hills studio. 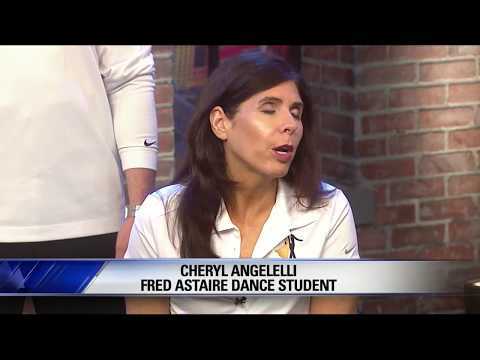 This is Dance Mobility, a free program that brings together wheelchair users and their partners with Fred Astaire instructors for group lessons that prove dance is truly universal. Supported by a grant from the Rehabilitation Institute of Michigan Foundation, it is the only program of its kind in the state of Michigan. Dance Mobility is a collaborative effort between the Rehabilitation Institute of Michigan’s Cheryl Angelelli and studio owner Evan Mountain, who envisioned the program as a way for his studio to serve the community through dance. Mountain first hired an instructor experienced in wheelchair dance in 2014, and Angelelli was one of his first students. An accomplished athlete and four-time Paralympic medalist swimmer, Angelelli began dancing after retiring from competitive swim. Wheelchair dancing is a popular paralympic sport in Europe, but she struggled to find an instructor here in the U.S. She finally found one thanks to a Facebook post from Mountain, who brought in a dancer from overseas to add wheelchair dancing to the Fred Astaire class lineup. Since then, Angelelli has worked to expand the program’s reach and to share the joy and freedom of dance with other wheelchair users. As director of marketing and public relations for RIM, she secured the grant that allows the studio to offer Dance Mobility classes free of charge. Boosted by TV shows, the dance floor is the ‘new’ place to find romance, friends, confidence, and community. The first toe-stomping steps my husband and I took to try to learn to dance together were not promising. Silently, I criticized his sweaty palms and his trouble keeping count, imagining myself a perfect partner gliding elegantly across the parquet. A litany began in my head, wondering if I needed a different partner. Breaking my reverie, our dance instructor scolded me (with a chuckle): “Let him lead.”… Read More. Are you or somebody you know interested in Para Dance Lessons? Fill out the form below and we’d be happy to answer any questions or help you get started!